Is your phone the first thing you reach for when you wake up? And the last thing you see before you sleep? Do you find the hours slip away as you idly scroll through your social media timeline? In short, are you addicted to your phone? If so, How to Break Up with Your Phone is here to help. How to Break Up with Your Phone is a smart, practical and useful plan to help you conquer your mobile phone addiction in just 30 days - and take back your life in the process. Recent studies have shown that spending extended time on our phones affects our ability to form new memories, think deeply, focus and absorb information, and the hormones triggered every time we hear our phones buzz both add to our stress levels and are the hallmark signs of addiction. 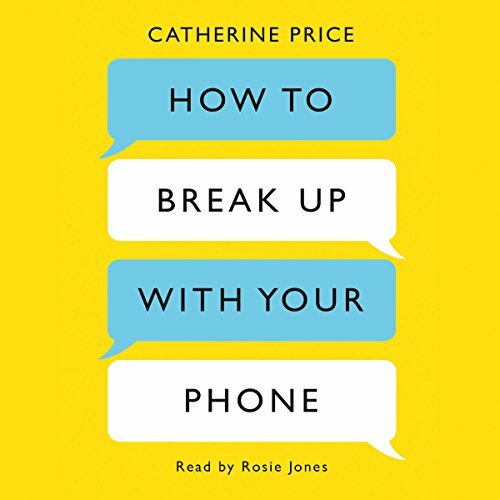 In How to Break Up with Your Phone, award-winning science journalist Catherine Price explores the effects that our constant connectivity is having on our brains, bodies, relationships and society at large and asks: how much time do you really want to spend on your phone? Over the course of 30 days, Catherine will guide you through an easy-to-follow plan that enables you to identify your goals, priorities and bad habits, tidy your apps, prune your email and take time away. Lastly, you will create a new, healthier relationship with your phone and establish habits and routines to ensure this new relationship sticks. You don't have to give up your phone forever. Instead you will be more mindful not only of how you use your phone but also about how you choose to spend the precious moments of your life. Just the book I was looking for. I loved this book, I now feel confident I have all the tools to have a healthy relationship with my phone.